After 13 years, last March I decided it was time to revamp the living room! We were using our 13 year sofa that was all wrong. The rug is only 10 years old, but I was ready for a new style. Since my kids were babies I’ve used a round soft ottoman with tray on top, but now the kids are 6 and 9 time to have some sharp corners! Our tv was in a cabinet which was outdated as well. 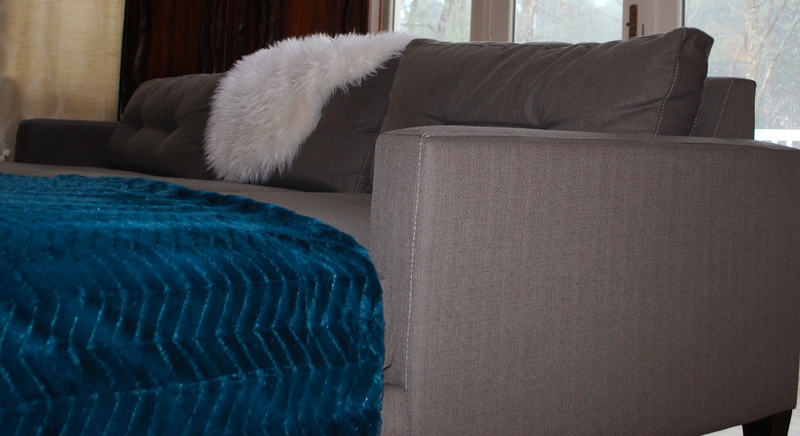 Cover the sofa or buy a new one….we bought a new one! Painted the wall a new lighter creamy color. Cover the chair or buy a new one….new one of course! Swapped out the rug for a new style. My old style was more traditional and now I like cozy mod. 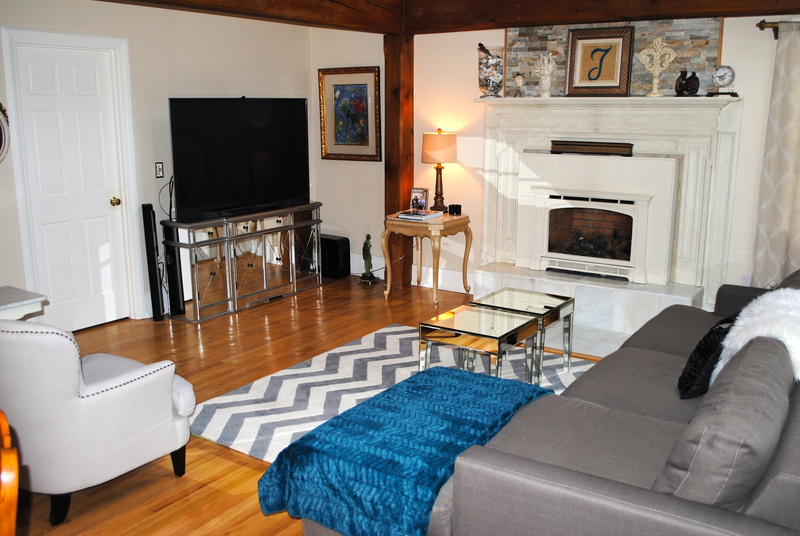 I wanted a more neutral and cohesive look when you walked into my living room. 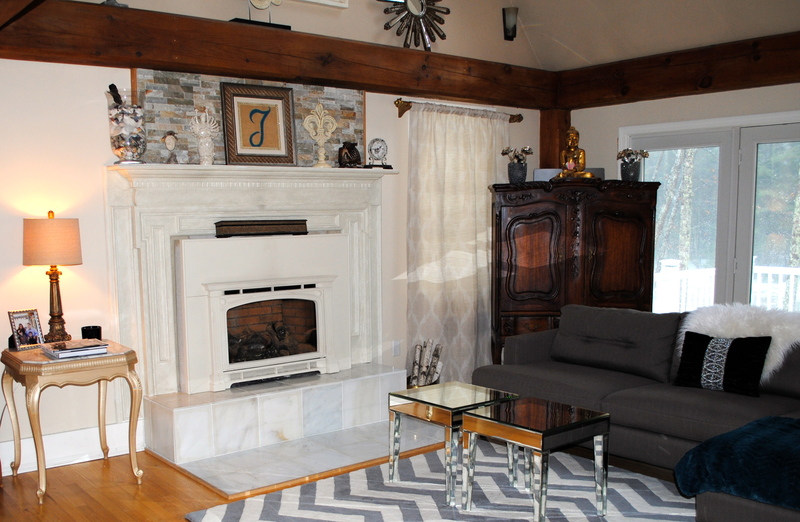 The focal point is the fireplace and after I painted it, it felt so fresh and light and that’s when I made the decision to start “Project Living room”. 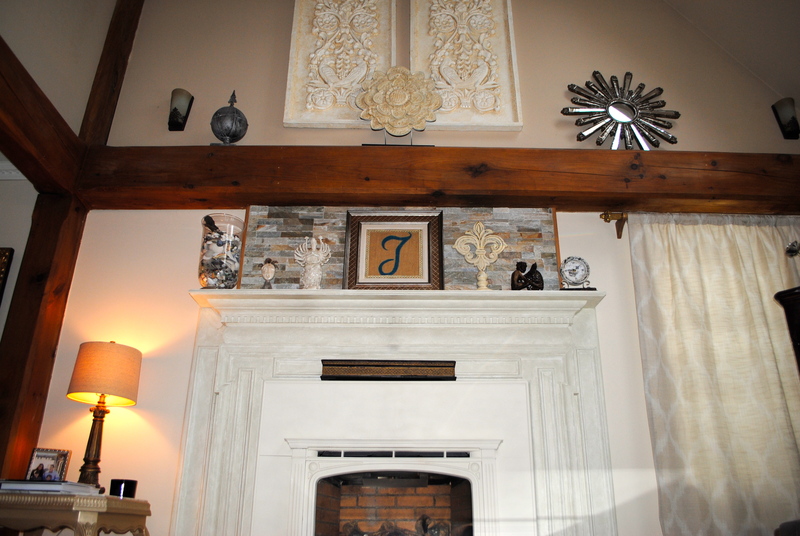 The old wall color was a brownish taupe that worked really well with gold tones. Painting the walls was my first change and I went for a creamy color. 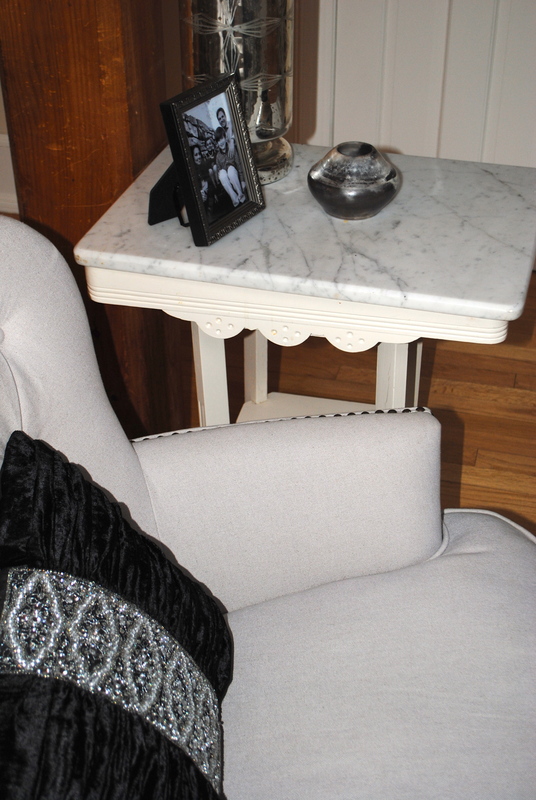 The color really lightened up the room and gave me room to play with the upholstery colors. 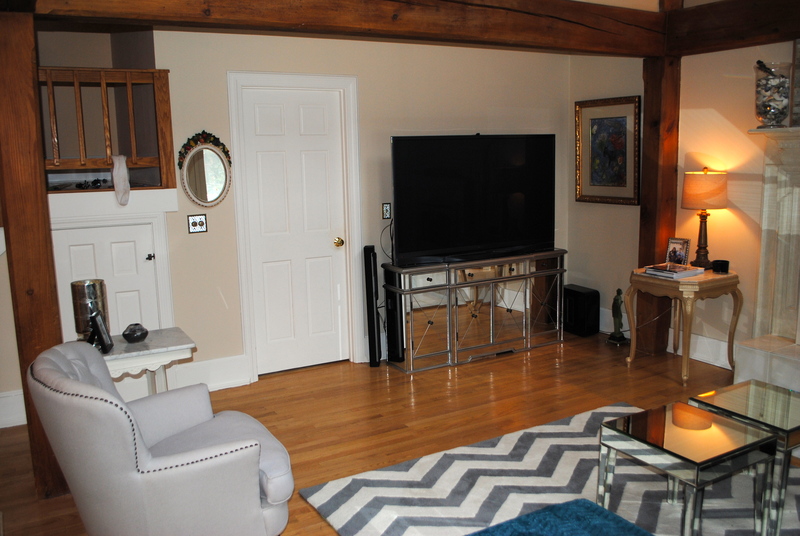 Before I was really stuck with golden/taupe sofa. Moving away from brown tones to cream tones gave me the freedom to switch to gray. 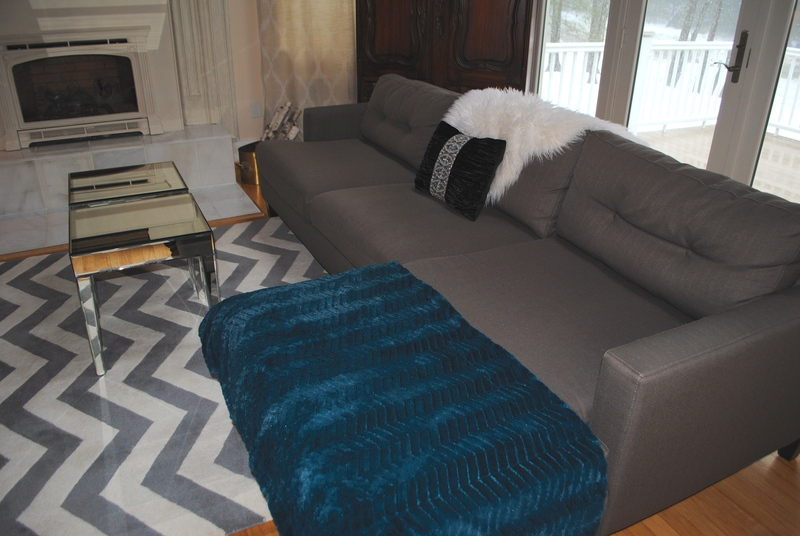 I loved going for a deeper sofa color since all the walls went so much lighter. 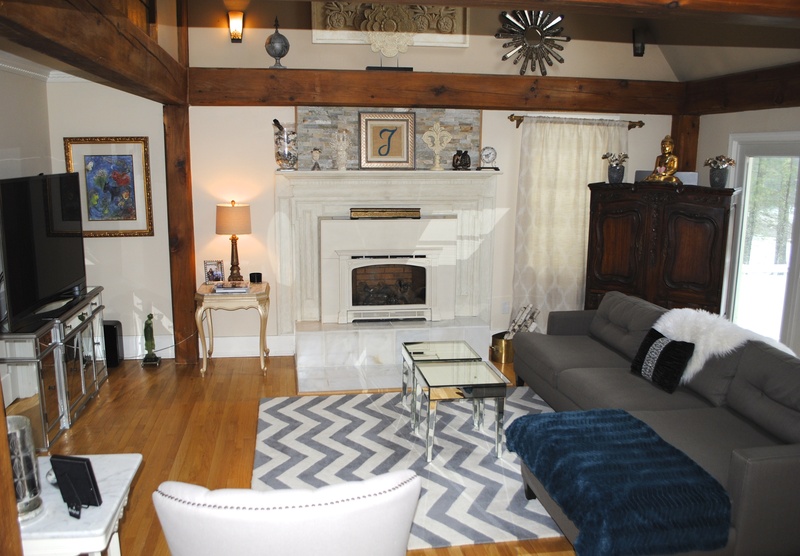 You can also see my old oriental rug in photo above with my old chesterfield sofa. 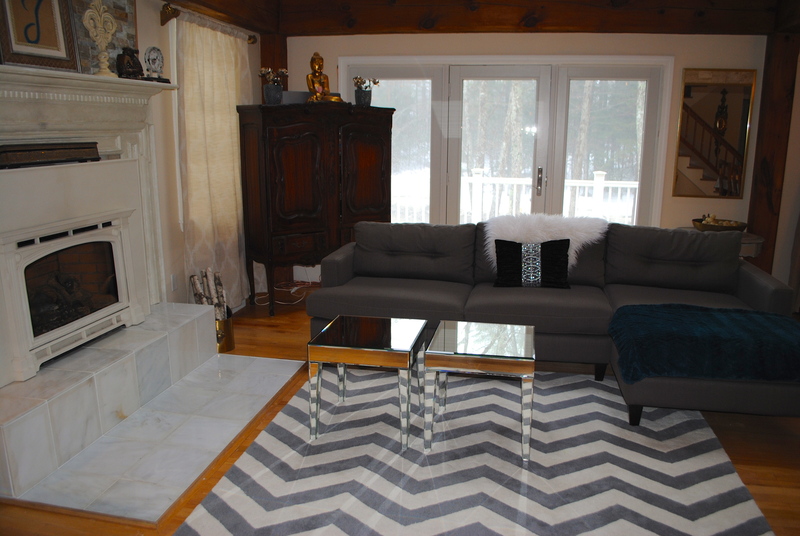 Below is my new chevron rug in gray and cream. I ditched the soft round ottoman and added two square mirrored tables that I had from three years ago. I picked them up at Target for $35.00 each. Before my sofa faced our fireplace but once I knew I was ready for a change, I wanted to have a chaise on my sofa and move it to the right of our fireplace. The antique brown cabinet stores my china, candles and various decor items. I didn’t want to have the TV in a cabinet any longer, so I talked my husband into getting a flat screen and console. 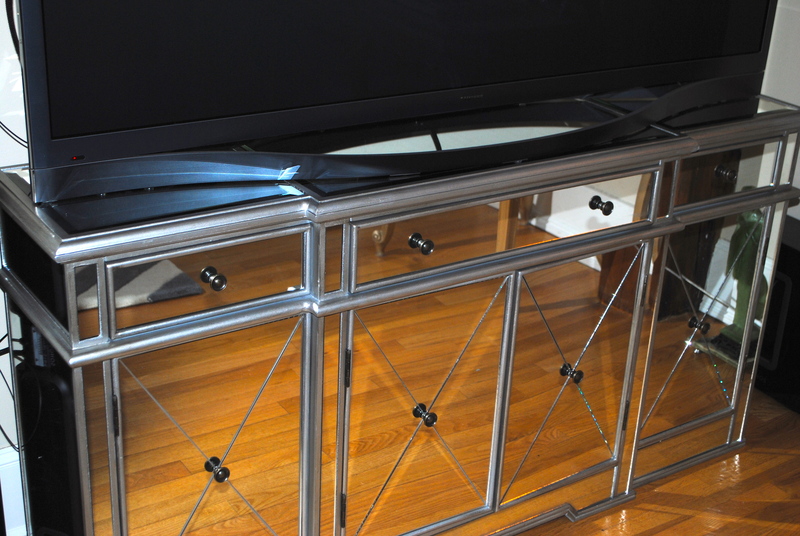 I found this stunning mirror and silver Paltrow Console Table on Joss and Main for $450. 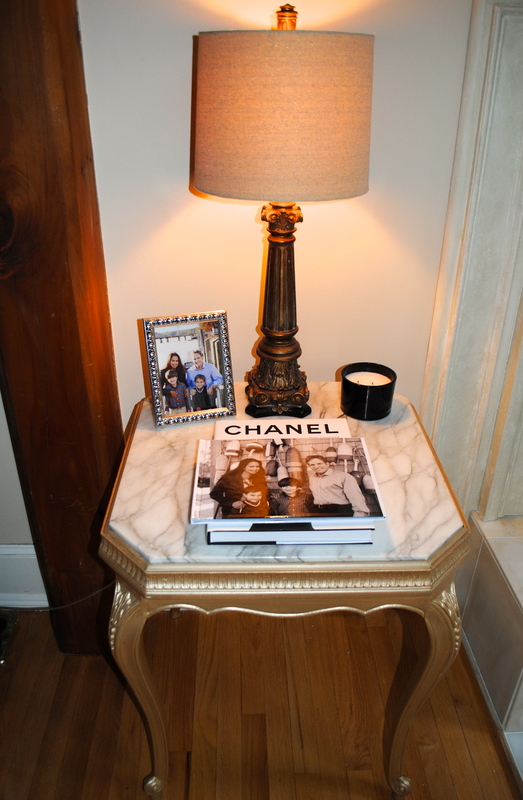 This console not only matches my coffee tables, but my starburst mirror that is high above my fireplace. 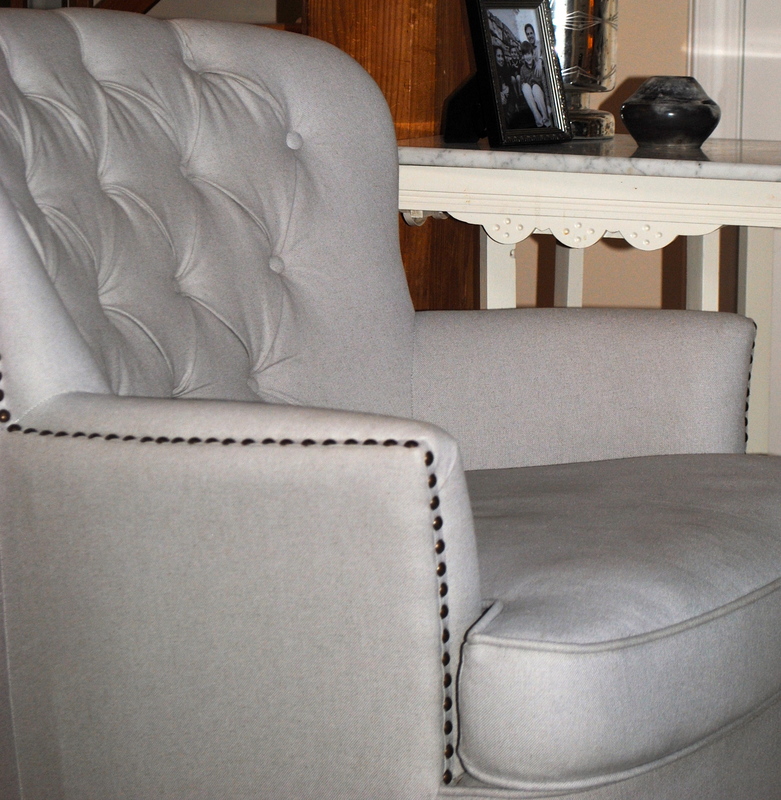 Though the brown paisley chair was so cozy with the matching ottoman, it was worn out and ready for a new home. Our new chair is in a solid light gray. By keeping the sofa and chair print free, I had the freedom to go bold on the floor and will have fun with throw pillows and blankets. I accessorize with antique, new and collectables. 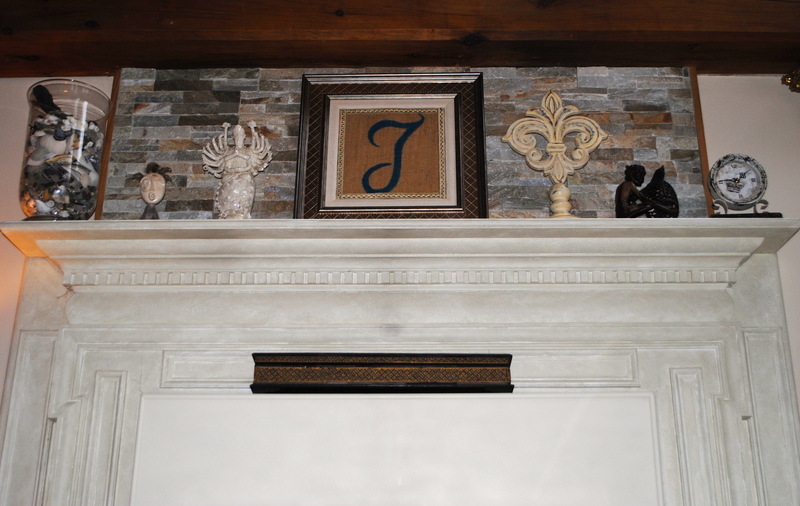 The mantel turned out far better than expected. Several items are one of a kind, from various trips my father in law took. The large jar is filled with beach finds than my boys search endlessly in the summer on several Maine beaches. The other two tables in the room are antique finds. 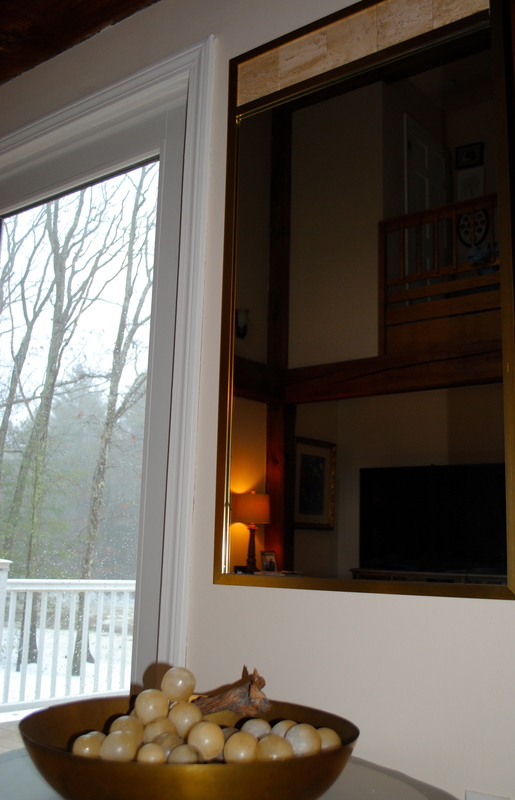 The mirror and copper bowl of over sized grapes are also antiques from our family. 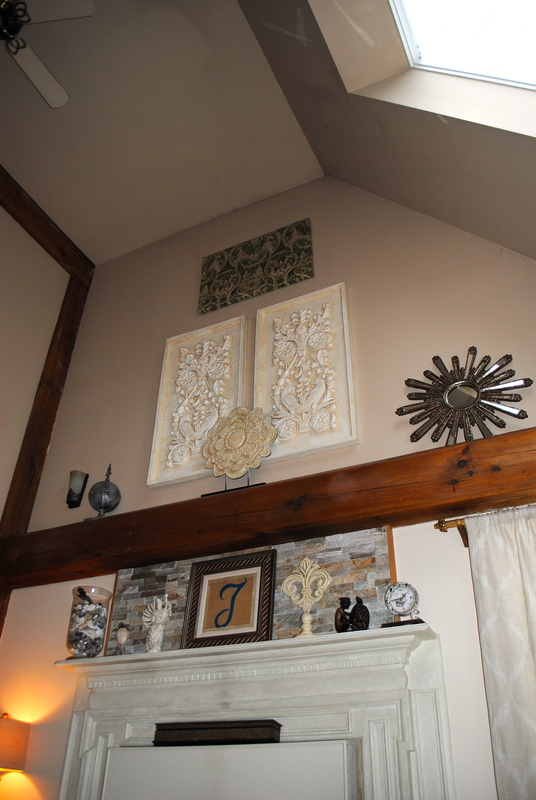 I’m not afraid to repaint things as you can see from the items that are hung high over the mantel. I have several framed photographs and figurines that are put away or in other rooms, but if there’s anything I can’t say enough is ‘edit’ and ‘edit again’. Less is more and quality is always better. 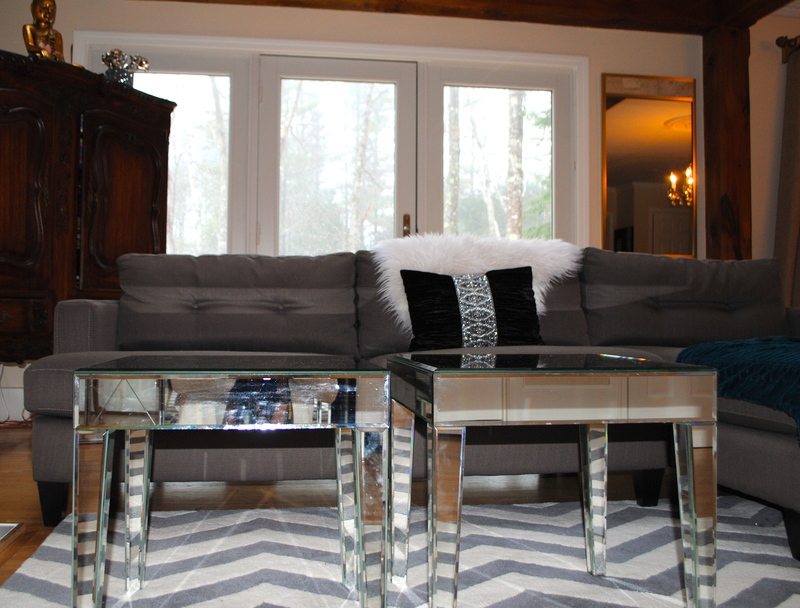 Love the mirrored effect tables and that rug is fab! Amazing transformation! love the new look! THANKS SO MUCH!!! Glad u like it!!! We are so happy with how cozy it feels and looks!!! >wink<!